Pictured are two good brands of matzos I’ve found…and in addition to using them for this recipe, both are great as plain crackers, too. 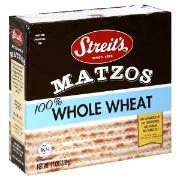 While there are lots of versions of matzos available (which can usually be found in the “international” aisle of the grocery store), you can see that these are both clearly marked as “whole-wheat”. It is always a good idea to double-check the ingredient list as well (this is a 1-ingredient product!) 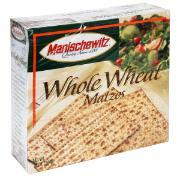 because these same brands also sell refined matzos in similar looking boxes. Another key piece to this recipe is the jelly. I buy an all-fruit type spread that is sweetened with fruit juice instead of sugar. So be sure to look for that as well. 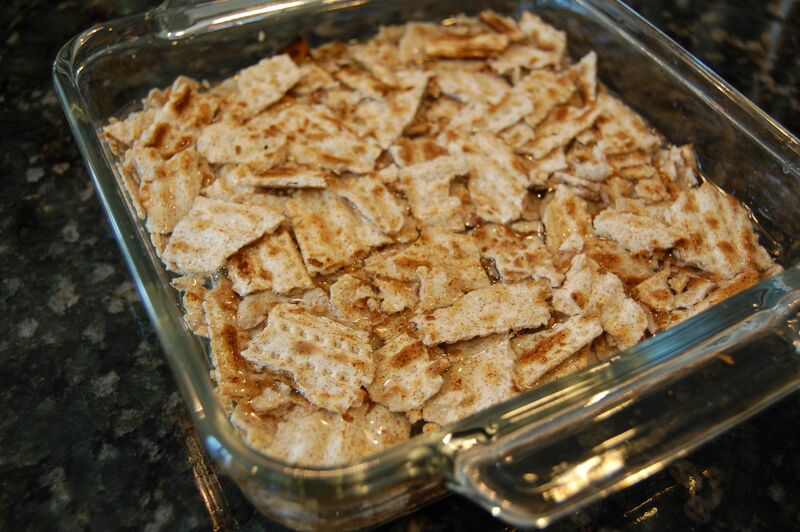 Break the matzos up into chunks that are a few inches in size. Put all of them into a shallow dish and cover with water (pictured). Let it sit for a couple of minutes. 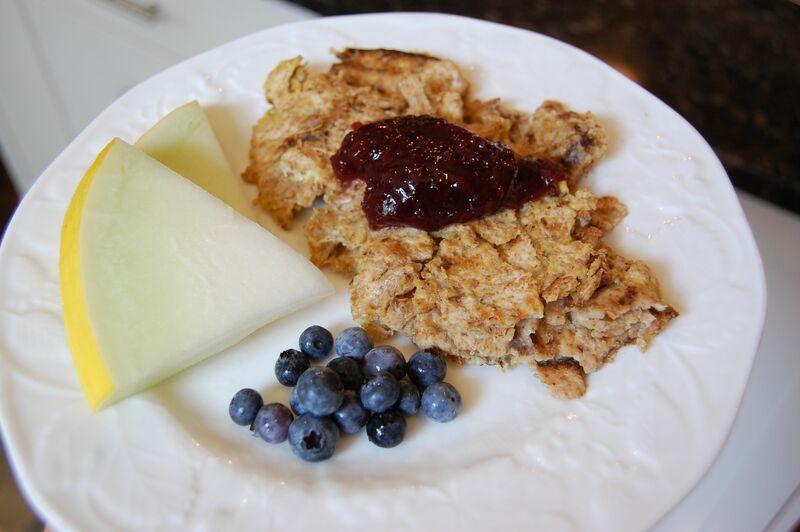 Drain out the water and crack the two eggs onto the wet matzos. Stir together with a fork until evenly mixed. Heat a sauté pan over medium heat and melt the butter. Add the matzos/egg mixture in an even layer. Cook until lightly browned on each side. Add more butter during cooking if necessary. Serve with jelly and enjoy! Leftovers can be stored in the fridge. I’ve bought the whole-wheat matzos per your suggestion to use as crackers…kids and I have enjoyed them w/ my homemade hummus. Just wondering if this is supposed to emulate another breakfast dish. What does it taste like? Thanks! LOVE your blog! I am glad you guys have enjoyed the matzos! You just can’t beat a cracker with only 1 ingredient. Also, I can’t really say the breakfast dish emulates anything that I’ve ever had before. It is good though! My Dad always made this for us when we were growing up…same recipe except no jelly…we covered ours with syrup like french toast. YUM!